Go ahead and submit your pool opening services online today with Blue Dream Pool Pool Inc. so that we can add you to the schedule. Our company highly recommend scheduling sooner than later so you won’t miss any available days for your pool opening. 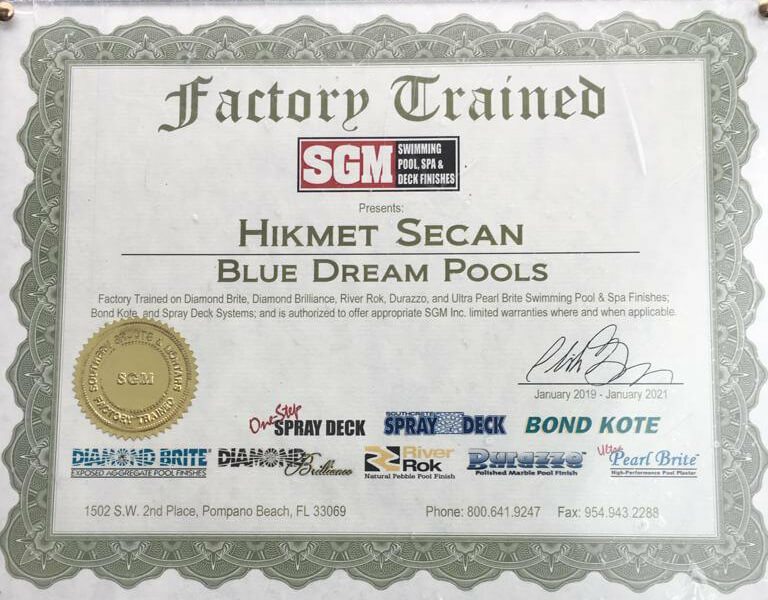 Blue Dream’s quality and professional Pool Opening Service will assure that your swimming pool will be operating at peak efficiency. In addition to properly opening your swimming pool, we offer our customer a variety of services to choose from when opening their pool. From winter pool cover removal, shock and balance pool water, vacuum your pool to emptying and clean your swimming pool. We will continue to mail our pool opening reminder email at the beginning of March. If you are not on our mailing list, give us a call, or email us. We are a locally owned and operated swimming pool renovation, repair, and maintenance company serving residential and commercial pool homeowners throughout Central Jersey and Eastern Pennsylvania since 2005.